No oil or butter? Alton Brown cooked steak with this ingredient instead. Out of oil and butter, but need to grill some meat? Look to Food Network star Alton Brown, who reached into his refrigerator and decided to try an unexpected ingredient that's made people drool with desire all over the internet. 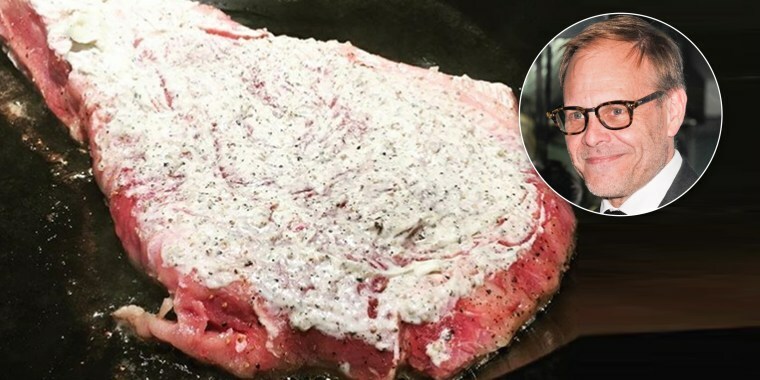 The “Good Eats” host was in a pinch on Wednesday, so he decided to slather his steak in mayonnaise. Yes, mayonnaise. A photo of his mayo-covered meat posted on Instagram had over 27,000 likes and hundreds of comments on Thursday. Brown also posted a photo of the end result of his mayo-steak experiment — and it looked pretty delicious to most of his fans who commented. One detractor who was disgusted by Brown's steak wrote, "this is an abomination, sir. mayo is the devil." "You had me at steak and lost me at mayo....," wrote another. But overall, most commenters agreed that the final steak looked pretty tasty. "Wipes drool from chin," and "if loving this is wrong, I don’t want to be right," were just two of the many comments from people who were into the mayo-slathered meat. So, is this something more people should be trying at home? It depends, Dan Souza, Editor in Chief of "Cooks Illustrated" told TODAY Food. "Mayo is majority oil, so on a basic level it will perform much the same function as a neutral oil or butter," he explained. But because commercial mayonnaise often contains some starch, protein, sugar, acid and seasoning, it will also brown and develop new flavors. "The real question is whether or not you like the flavors created when mayo browns," he said. The browning produces dramatically different flavors depending on the compounds present in the foods you are cooking, said Souza, noting that cooked beef tastes different than fish, for example, because of the iron it contains. Brown is not the first to use mayo in an unusual way. Both Martha Stewart and chef Jeff Mauro use it to crisp up grilled cheese sandwiches, instead of using butter. An ice cream shop in Scotland even uses mayo in ice cream! Many of Brown's Instagram followers also weighed in on how they used mayonnaise unusually, including putting it on grilled cheese, in cornbread batter and on pork chops and fish. 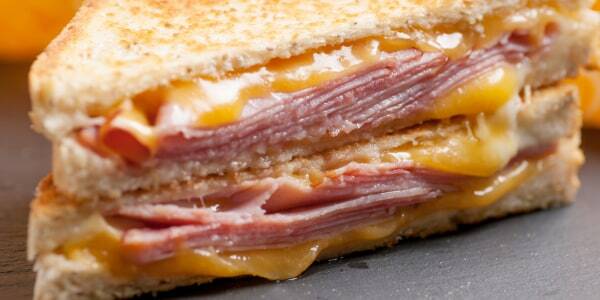 "I'll always go for browned butter on my grilled cheese over browned mayonnaise," Souza said. "And for steak I'd always go for a neutral oil or butter over mayo. But if you have a steak and neither of those in the house? Mayo will certainly do the job." Brown’s recipe for grilled cheese calls for butter or olive oil spread on the bread, not mayo, but maybe he’ll give it a try after his steak success! Brown's new show “Good Eats: Reloaded,” will premiere on the Cooking Channel on Oct. 15.